delivers a keen competitive edge. More advanced technologies, such as S/4HANA, can be a game changer for businesses. How much more could you accomplish with fewer customizations to maintain, and fewer databases to secure and manage? And what if security and compliance requirements were easier to meet and maintain? If you could achieve a more agile, secure, and standardized technology landscape, your resource commitments would be lower, your teams more effective and motivated, and your landscape less costly to secure and manage. But enterprises face a patchwork of legacy and antiquated IT systems. As a result, far too much time and money are being spent unifying and managing heterogeneous and complex landscapes. 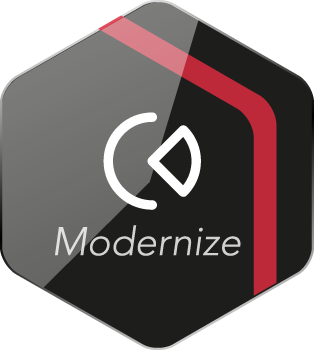 And while everyone agrees that modernizing them can yield tremendous benefits, everyone knows that doing so often comes at a very high cost. Your enterprise must find a way to unlock that value with speed, minimal downtime, and lower risk. The solution is technology from SNP that automates critical transformation processes for speed and accuracy, coupled with powerful analytical capabilities. 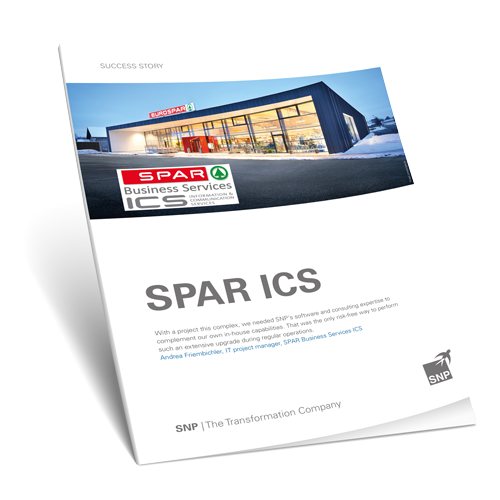 SPAR has its own IT company, known as SPAR Business Services ICS. It operates state-of-the-art systems for more than 70,000 employees at 2,500 locations in nine countries. In addition to upgrading SAP 4.6C to the latest SAP release, this project required a separate functionality transfer and re-engineering to accommodate a large number of custom modules and system modifications. Learn more about the challenges and solutions related to SAP system modernization by reading the SPAR ICS success story.